Summary: 100 There is a student newspaper ready to help you be heard. Many OCCC students are not aware of a student-run asset they have at their fingertips. This asset can tell students what is happening at the college better than the Student Life calendar which usually only offers a title, date and time but no actual information about an event. This asset allows students to truly know what is really happening on campus. And this information is from student to student, not dictated by someone in Public Relations on a glossy, disconnected pamphlet. The creators of this asset will listen to any student who comes into the office where it’s housed and has time to talk. 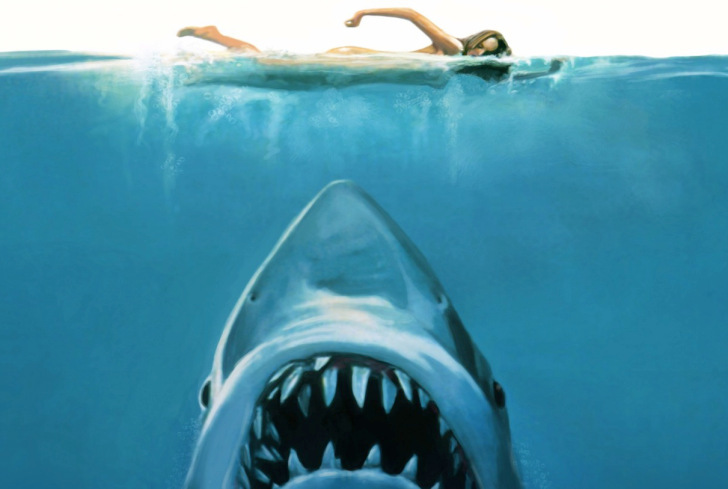 It is written to inform OCCC students about what is happening at the college — both the good and the bad. 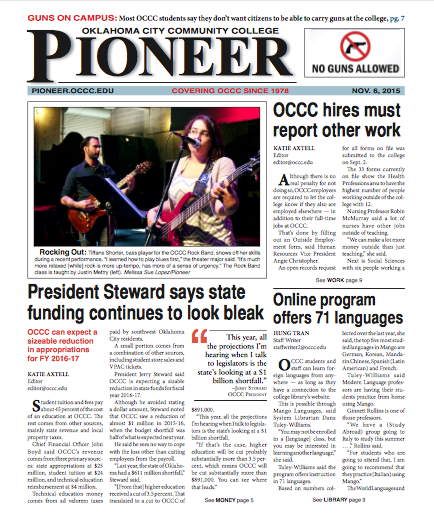 That resource is the OCCC student-written and operated newspaper — the Pioneer. Often, the word on the administrative street is that OCCC students don’t care about what is going on at the college. If you find yourself saying these things, your next statement should be an apology to the OCCC students who do care what happens at OCCC. You are short-selling their education. Students here are bright, engaged and responsive. We are intelligent, community oriented and aware. So if you find yourself teaching, administrating, doing whatever you do here, and thinking of the students in a “they’re in and they’re out” mentality, hardly learning names or bothering to remember faces, I think you should move on from the college. The students don’t want someone who does not care about their education here. To my comrades I see every day at the college, you are engaged so it is time to speak up. I listen and speak with many students in my classes who know about things that are happening here — such as having professors who don’t seem to care or aren’t attentive, or about programs and offices that are a sham for getting help. But so many don’t speak up about these issues. If you feel unheard here, remember this: There is a student newspaper ready to help you be heard. Come see us in 1F2 of the AH building.